"The unique hot Original Glazed® doughnut provides an experience unlike any other, and we are thrilled to bring that experience to Iceland later this year." 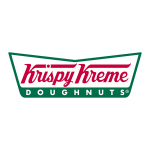 WINSTON-SALEM, N.C.--(BUSINESS WIRE)--Krispy Kreme Doughnuts Inc. today announced a development agreement with Hagar verslainr ehf. that will bring the sweet treat company to Iceland. 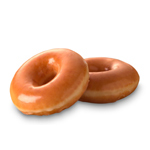 The first of five Krispy Kreme shops will open in Reykjavik on Nov. 5. Hagar verslainr ehf. is a leading retailer in the Icelandic market with core activities in the grocery sector, which includes the popular Hagkaup stores. The new Krispy Kreme shop will be the newest feature at Hagkaup’s Flagship HyperMarket located in the Smáralind Mall. With the November opening, Iceland will be the 29th country in which Krispy Kreme shops are located. There are more than 1,100 Krispy Kreme shops around the world.